Welcome to my house! Today was a successful reading lesson. Today we spent a whole 15 minutes on a very successful reading lesson, in our phonics book. We are still there, in one of the best phonics books I know of. She is 7, and only recently started to read whole phrases without struggling. Age 7 may be very late to some of you! This is a child who would repeat letters looking at the ceiling, or put a hat over her eyes while looking at her book. I’ve learned after ten children that if they don’t want to read, a little time is the answer. It’s the discovery of all of sudden ‘getting it’ that makes reading lessons exciting! But they have to discover. This isn’t a message to stop daily teaching, but you might have to change up the routine a bit. The way a child learns is extremely important to your method of administering the lesson. It was becoming apparent that letters intimated her. Let me share my lesson today. She read one whole page in her phonics book. We talked about the letters, we went over them. I then asked her to get her writing binder [there was a sigh]. But she quickly discovered it wasn’t so awful. Me: Let’s copy these words. Watch me first. Can you copy the word ‘and’? Me: Work on keeping your letters in the spaces. Watch me. Can you now copy land, sand, and hand? Me: Let’s make an a in the spaces. Watch me. Can you copy it like me? We repeated with n. I gave her a smooch, lesson over until tomorrow. She skipped smiling over to the bookshelf and stopped to put a marker in her book. Painless, and no struggle. The letters weren’t as scary when I showed her what I meant with each piece of instruction. Do you struggle teaching reading? Does your child struggle? You can make it easier! Of course there are numerous books on teaching reading. 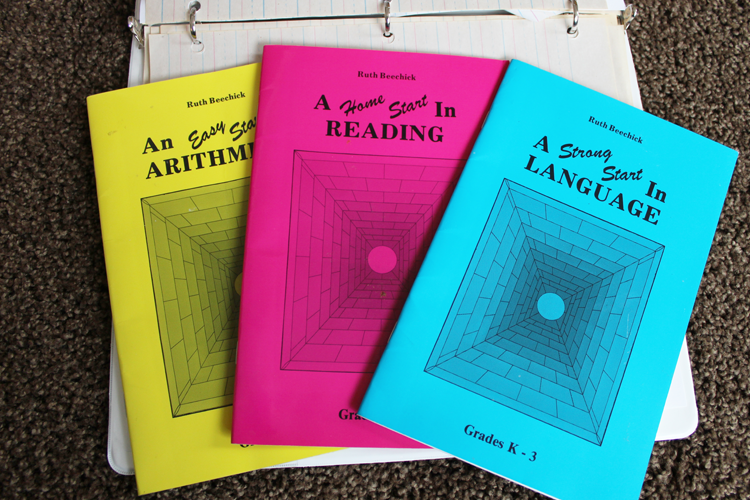 I picked a longtime phonics guide, and I’ve been mainly using copy work and daily, out loud reading. Read good literature out loud DAILY. Yes, daily. Can you spend 10-30 minutes just reading? Sure you can! Don’t be rushed to throw them into a workbook. You can do that later, if you have good books, paper and pencils, you have your workbooks. Narration and copy work are your best friends! Play games! Take apart simple words and put the the letters on index cards. Put together the word. Do the same with short sentences. No more bullets. How easy is that? Of course, we are talking about simple ideas to start with today. There will be more intense reading lessons, but make it simple! Children learn so much with intelligent conversation and good books. 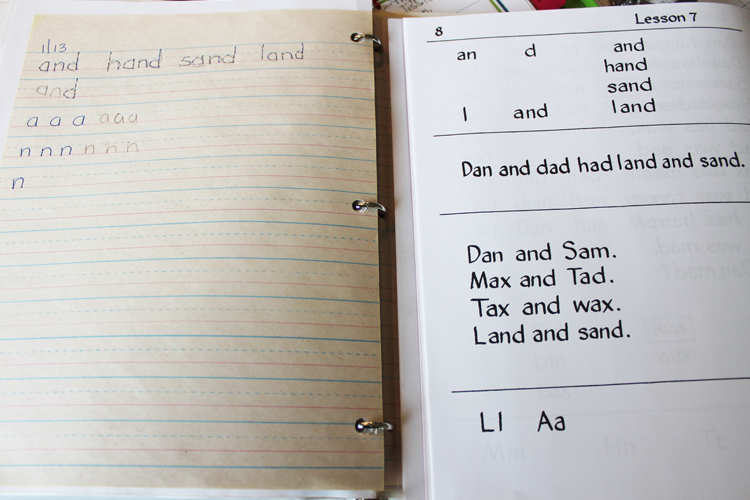 We had one child that never got around to even doing a phonics book because of how busy we were with many children. He amazingly is a wonderful reader and has an interest in words of all kinds – big words. He makes us laugh. [clickToTweet tweet=”Reading lessons do not need to cause tears! Use simple books like The Three Rs.” quote=”Reading lessons do not need to cause tears! Use simple books like The Three Rs.” theme=”style1″]This is simple instruction from a very wise lady! It just doesn’t get any easier. You can read these in a few hours. Mine are older and were separate. The newer version is in one book. Alpha Phonics – Rainbow Resource is one of my go to resources for books. Get the edition that opens flat with the included CD. 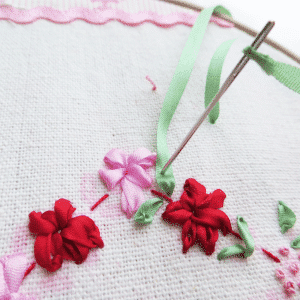 Extra help – because if you don’t know how they learn, no workbook will ever help!